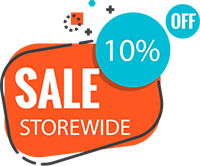 Home » Products » Allerzip Smooth Encasements: Dust Mite, Allergy & Asthma Protection Kit. Note: Single size kit only contains 1 pillow protector. SKU: N/A. 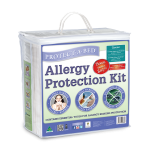 Categories: Allergy Kits, Dust Mite & Allergy Protectors. 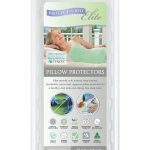 The Allerzip Smooth Dust Mite and Allergy Protectors gives your bedding complete protection from dust mites,allergens, spills & stains. 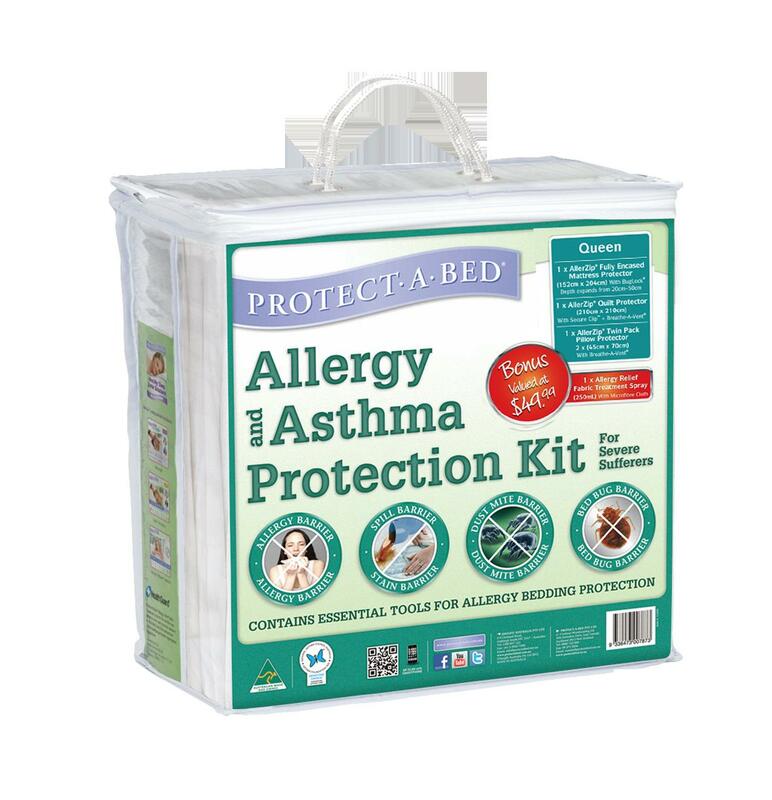 For complete protection for your bedding there is no better than the Allerzip Dust Mite and Allergen bedding Protectors. The Allerzip Dust Mite, Allergy, Asthma Protectors ensures total protection from allergens and dust mites. We can provide both mattress, pillow, Quilt and bed base protection for a completely healthy and allergy-free sleep environment. The Allerzip Dust Mite, Allergy, Asthma Protector will provide the whole family with a clean and healthy sleeping environment. The Allerzip Smooth Dust Mite Protectors have a smooth polyester sleep surface featuring our innovative Miracle Membrane waterproof backing with the total heat transference formula. Liquids and stains stay out, yet the state-of-the-art Allerzip dust mite and bed bug protector remains breathable and comfortable to sleep on. Dust Mite Bed Bug Mattress Protector features the Protect.A.Bed patented BugLock three-sided zipper system with SecureSeal, stopping dust mites and making your bedding bed bug entry, escape and bite proof. Waterproof yet breathable Miracle Membrane backing prevents accidental spills, perspiration stains and bodily fluids damaging your mattress. The only Australian sold protector to be certified by an Entomology Laboratory to be bed dust mite proof & allergen proof. Approved by the National Asthma Council’s Sensitive Choice Program.